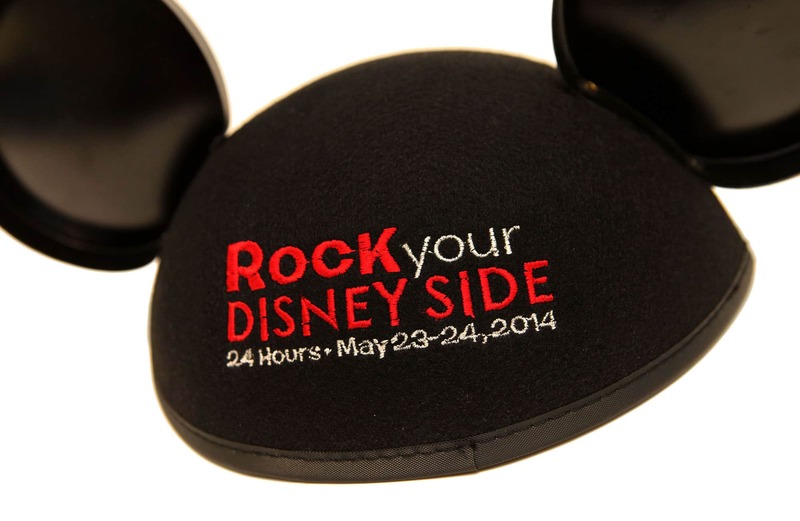 I’m looking forward to spending more than 24 hours at Disney Parks on May 23 for the Rock Your Disney Side Party. Last year’s event was a blast, so I can’t wait to do it again. I’m already planning what I will be wearing (there are four costume options currently on the table). For those attending the event at Disney Parks, we will be offering a few specially designed merchandise items, such as a classic black ear hat with an embroidered event logo. Here is a look at a few additional options that you will find. I love the colorful Heroes and Villains artwork featuring Sorcerer Mickey, Maleficent and friends. This image with glow in the dark elements will be used on a T-shirt that also contains the Rock Your Disney Side event logo on the back. Guests at Disneyland Resort will also find a long-sleeved fleece option with this artwork. The Disney Parks online store will offer these T-shirts for seven days starting May 23 at http://www.DisneyStore.com/ParkEvents. A limited release pin will also contain the Heroes and Villains artwork. For guests in Florida, this pin will only be released at Disney’s Pin Traders in Downtown Disney Marketplace starting May 22 (it won’t be found at Magic Kingdom Park during the event). For guests in California, the pin will be released on May 23 in select locations at Disneyland park and Disney California Adventure park. We’ve also added a fun glow baton this year that changes colors when activated (look for it on the glow carts during the event). 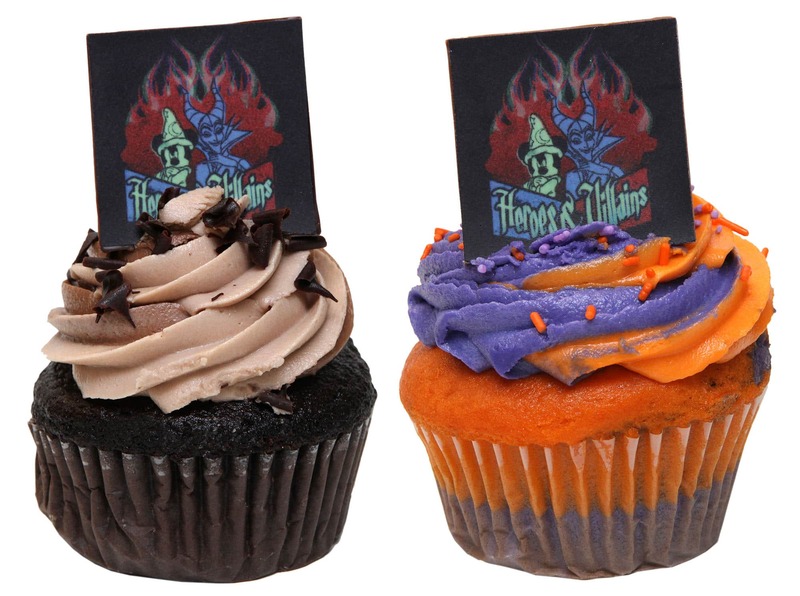 Finally, I was happy to see that two delicious cupcakes will be offered during the event. Each one will have a chocolate disk with the aforementioned Heroes and Villains artwork. Here are the best places to find these items on May 23 at Disney Parks. What is the parking and lineup situation for Magic Kingdom? I read that Disneyland can start lining up at 12am and the first 2000 get a limited edition lanyard. Is this the same for Magic Kingdom? 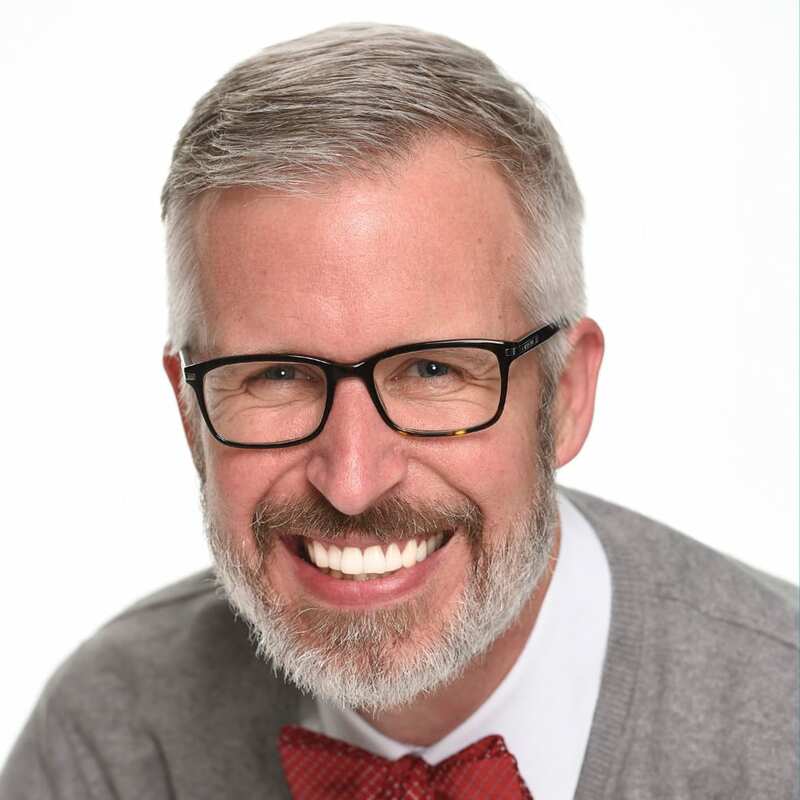 @Timothy – There will not be a lanyard for Guests visiting the Magic Kingdom Park in Florida. I did some checking and this is what I found. I hope to see you during the event! For bus transportation to Magic Kingdom Park on May 23, Walt Disney World Resort Guests may go to any resort loading area 45 minutes prior to Park opening. Regular service will continue around the clock through the end of day May 24. The Magic Kingdom Guest parking lot will open at 4:30 a.m. May 23. Ferry and monorail service between the Transportation & Ticket Center and the Magic Kingdom entrance begins 45 minutes before Park opening. 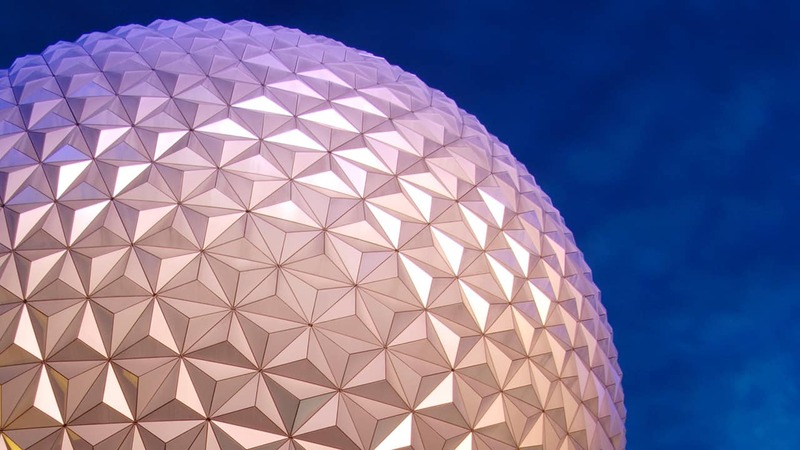 Monorail service between Epcot and the Transportation & Ticket Center will operate until 11:00 p.m. the following evening, Saturday, May 24, 2014. Are the Batons only going to be sold during the 24 hour day? Can I buy them online at disneystore? 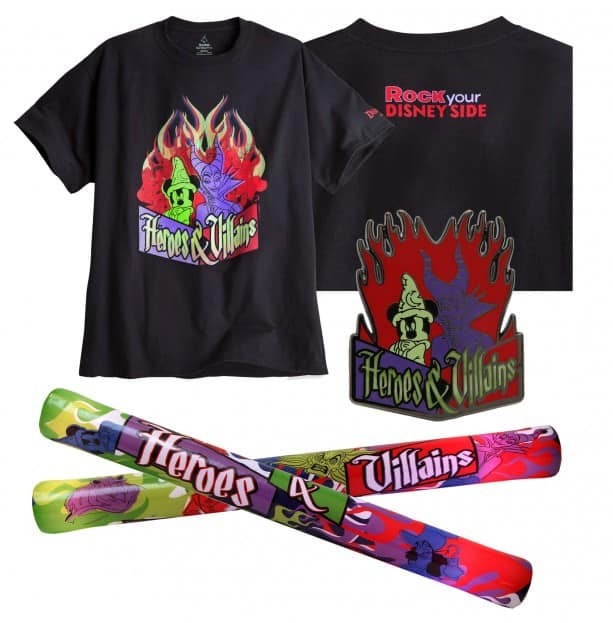 @Jacob – The batons were created specifically for this event. It’s difficult to say if they will be sold beyond the event. They will not be carried via the Disney Parks online store. Why is the pin only available at Downtown Disney? The pin should be available in the Magic Kingdom Park. @Timothy – Thank you for the feedback. The decision was made to carry it at Disney’s Pin Traders, which is our flagship pin trading location at Walt Disney World Resort. I’m sorry to hear you are disappointed it won’t be at Magic Kingdom Park. I can share your thoughts with the team. what is the edition size of the pins? @Ryan – The pin is limited release. Is the Glow Baton LED? And how much will it cost? @Jacob – Yes, it’s LED and has several different lighting options when the button is pressed. With tax, the total will be $7.00. Where can I get that fabulous Maleficent horns hat that Michelle Harker is wearing in the email blog? is there a limit to the number of pins that can be purchased at one time? @Oleg – Guests may purchase a maximum of two pins, per day for this release. Fabulous merchandise, Steven, but you got me at those scrumpdelicious cupcakes…yum! Have a GREAT time this weekend and I can’t wait to hear all about it. Do the shirts specify if they are from “Walt Disney World” or “Disneyland”? From the photos that are posted, it looks like they are both the same. @Lindsey – The shirts will have the respective Resort names on the sleeves. So “Disneyland Resort” will be featured on the sleeve for shirts in California and vice versa. Steven will this event have a live stream like last year?